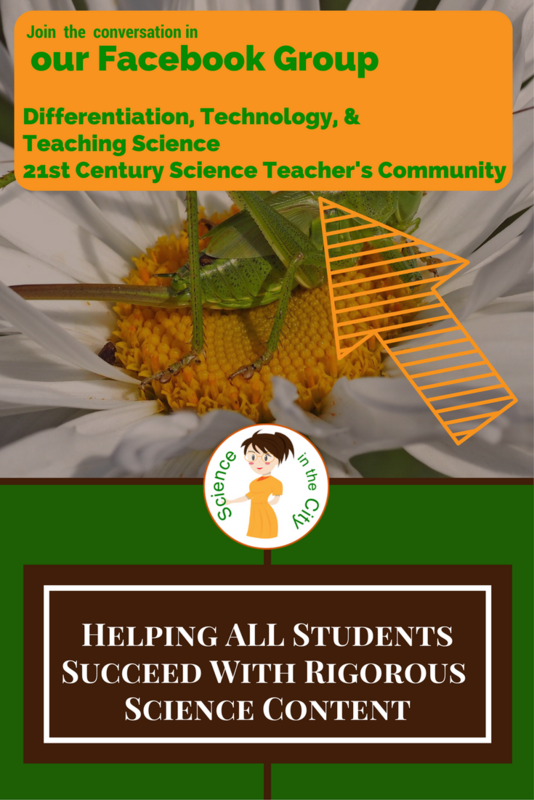 How do the New NGSS Standards really affect me? As Next Generation Science Standards come out, and start to be utilized in more states, and more classrooms, you may be wondering how this affects your science classroom. 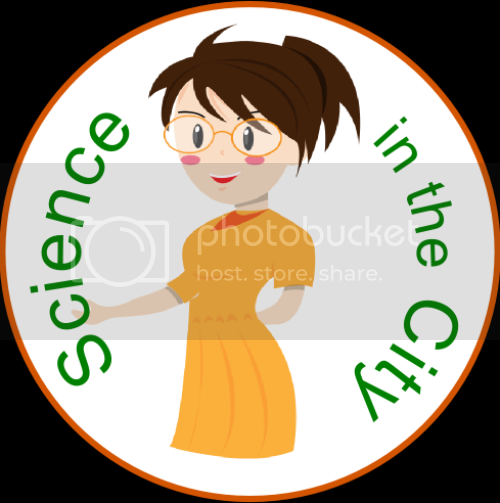 I participated in this very basic short training for NGSS, and had some discussion in this facebook group. Through that reflection I thought I had a beginning understanding of NGSS, at least how it is set up, and had some thoughts about how it would affect my classroom. I was waiting to see how the assessments worked, but felt that I had a pretty good start. Now, however, I am working on designing curriculum for a new course that that will be aligned to NGSS, and I found myself again confused and thinking through some of the issues surrounding it. I wanted to write a post where I share with you a few of the main points that I am taking away, and hopefully open up some further discussion. As you may have noticed right away, each standard is broken down into performance expectations (what students need to know or be able to do to demonstrate competence), framework dimensions, and then correlations to common core. Science and engineering practices: what may previously have been called science skills such as using models, planning and carrying out investigations, analyzing and interpreting data, etc. Cross-Cutting concepts: concepts and themes the cross many different science areas - such as patterns, cause and effect, stability and change, etc. These dimensions remain constant across grades P-12, but obviously go into greater depth at higher grade levels. The NGSS are also correlated to Common Core, so they support math and literacy integrated into the science classroom. As we look at using NGSS in the classroom, it is not a complete departure from what we have been doing. These standards emphasize greater depth, problems solving, writing, engineering design and problem solving, and more progression through the grades. This is in line with teaching science as inquiry, using the 5 E’s, phenomena-based teaching, and many other good science teaching practices, but often takes it a step farther. As part of NGSS, these science and engineering practices and cross-cutting practices need to be taught more explicitly than we are used to doing. We may think that we are already teaching them, but in NGSS they get more emphasis as skills and content in their own right. The biggest takeaways for me from this module were the embedded skills, and the process itself - collaboration, optimization, and revision, grit. I think it is important to explicitly teach these skills. A lot of projects, or even experimental design lend themselves well to this if we spend more time on the design process rather than giving students a step by step method, but teach them modeling and design skills. It’s not so hard to do, but a different perspective. I learned that it is important to “draw the concepts into the foreground”. We can (usually) easily recognize patterns or cause and effect but students really struggle with those relationships. Starting to use the terms with young children is exciting because much like a foreign language it will be easier to become more fluent in science and get to a deeper understanding of science content in middle and high school. I do think it requires a re working of lesson activities and instructional formats. I know most of my stuff mainly reflects disciplinary core ideas. I have to work in the practices and concepts more and make more integrated performance assessments. Focus on a few at a time and be intentional! Looking at the planning sheet our district made, it matches completely with this idea. So manageable! Also, I agree that we need to pull them into the foreground, like the depth and complexity icons. I learned that science is really a much more round about discipline, which is so different than what I’ve always learned and taught. I realized how much more integrated science should be, and that I should be talking about it like that in class. Doing science in class was completing rigid labs to achieve a desired outcome. I started off teaching that way, but have loosened up over the years to encourage students to create their own investigations. BTW, I much prefer the term investigation to experiment. It can include so much more. I need to be much more intentional in pointing out the practices not only when we do them, but whenever the opportunities arise. I liked identifying them in the video and article. The students need to talk, and they need to experience by learning. Science is messy, and it is so good for the students to see this. It is hard to let go of control and fear that the students will not learn what they need to learn. It may take longer and be louder, but it is good for them! They might be wrong sometimes, but over a few practices, can correct misconceptions. The part I am correlating my curriculum to is the performance expectations at the top. There are much fewer of these than there were in our previous state standards, but they are broad and more comprehensive, so as you teach them, you are covering more content. These performance expectations also lend themselves well to developing projects that would demonstrate competency in these areas. One, or just a few performance expectations might cover an entire unit. However, as you are teaching these, you want to keep the other dimensions in mind. Where do I find examples of NGSS in practice? The Next Generation Science Website itself has some sample classroom performance assessment tasks. There is not a big library here, but growing, and they give good examples of how the different dimensions are integrated. If you prefer videos and examples, rather than lesson plans per se, The Teaching Channel has a “Deep Dive Guide to NGSS” and quite a few videos where you can see it in practice. One of my favorites - since NGSS is focused on finding phenomena, and students acting as scientists to explain, I love this database of phenomena that can be searched by standard! Lastly, although it may be a bit overwhelming, this concept map is a wealth of information on everything NGSS related! As I get further into NGSS, I definitely plan to explore it much farther!! I know some of you are way ahead of me in how your states are implementing NGSS. If you have insights or examples I’d love if you’d share them either here or in the facebook group. If you are looking for a new and different, technology-rich activity to introduce students to a career in science, increase literacy in science, and practice using claim-evidence-reasoning (CER), I want to share a resource with you. I was asked to write a sponsored review of the UL Xplorlabs Fire Forensics Module, and I am very pleased to share it with you! I also asked my sixth grade son to go through it and give his feedback. Xplorlabs has made two modules that are free, STEM-focused, and NGSS aligned. They have supplementary hands-on investigations that could be used in the classroom, and tie to both safety and real-world problems. I looked specifically at the Fire Forensics Module and found it very engaging, and found it to provide a fun, interactive online environment for students to learn from real scientists. What is included in the Fire Forensics Module? The Fire Forensics Module is an interactive web-based lesson that teaches about fire, but also teaches about building an evidence-based claim as students go through the process of being a ‘fire investigator in training.’ It is “designed to provide students with the understanding of fire, fire dynamics, and fire behavior so that they can read a fire scene and build a claim for the fire’s location of origin and cause.” It includes videos, embedded practice quizzes, a model where the students and instructors analyze the fire together, and then a culminating activity where the students analyze the fire themselves, from evidence, and then submit their analysis along with claim, evidence, and reasoning to their teacher or print it out. The module is very well scaffolded, with short (1-3 minute) videos from current fire investigators, education on the fire itself, and on the tools used for investigation. There are interactive activities and self-checks, and also supplements hands-on activities that can be used (but it works fine without it as well). The content covered focuses on the basic science of fire, and the fire investigation process itself, but they also use this as a lens through which to teach and practice claim, evidence, reasoning, and the scientific method. Depending upon the extension activities chosen, you could also use this to practice graphing. As students work through this module, they are first introduced to the job of fire investigators and why it is important. They enter the ‘investigator’s academy’ and learn some background about how fire is defined, how fire develops, and how it behaves. They will then go through a ‘model’ fire in the lab, and then investigate a case and build a claim, based on evidence and reasoning. I really liked this module, and would not hesitate to use it with students. The videos are short, engaging, and fast-paced. The website is very professional and easy to navigate, while still being kid friendly. There are self-checks built in and interactives to keep students on track. If students miss formative assessment questions they are given explanations, and then try the questions again before moving on. I really like that it integrates the career piece. This can be so important for students to just see what else is ‘out there’ and available to them as a career. The whole module builds on itself seamlessly, and integrates supplemental activities if you choose. However, you could easily use only part of the module, and could include or omit as many of the extension activities as you choose. If, however, you do choose to include the extensions, they come with great teacher instructions, including materials list, roles, etc. The whole module culminates with students solving a ‘case,’ establishing their claims, using evidence and reasoning to support it. This activity is geared towards middle school. I have taught middle school, but at the moment I’m teaching high school. I do, however, have a 6th grade son, so I asked him to go through at least some of the module and give me his feedback. He completed the first four sections during some free time. He liked it so much that he wants to go back and finish it, or check out the other module that they offer on his own! But he really liked the short videos, and the interactive charts in section 2 where you could modify the components needed for the fire and see how the fire changed (visually). He said he learned that the amount of heat, oxygen, and fuel changes how big the fire is, which he didn't know before. He thought all three had to be present, but didn’t know that the fire would change if there were different amounts. He found the website easy to follow and thought the directions were very clear. He said he learned a lot, but the most interesting takeaway was that he had no idea there was such a job as a fire investigator. He said he could see his teachers doing this in science class, or even on a day where there is a sub because the students would be able to go through independently. There are also additional activities on their main website, under Xtensions. If YouTube is blocked at your school, you may run into problems. The videos are beautifully embedded, and look like part of the website, but they are coming from YouTube and won’t work if YouTube is blocked. 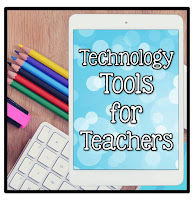 You may need to download these videos and show them together, or download and give students a separate link, but that will disrupt the flow of the activity. The student’s responses on the final culminating activity, where they submit their claim, will get printed or emailed to the teacher, but the rest of the activity is self-guided. This would be fine for most students, and it is very straightforward, but depending on your student’s needs you may want to make some type of guided notes to go with it, so that students have a reference point when they get the culminating activity, and also have accountability. So where to go from here? Try it out! Go here and check it out! If you do use it, I’d love to hear what you think either in the comments below, in my Facebook Group, or anywhere else on social media or email.